When I was younger I started practicing for my Ham Radio license but did not stick with this long enough to master the morse code. With this project you can convert any text to morse code. 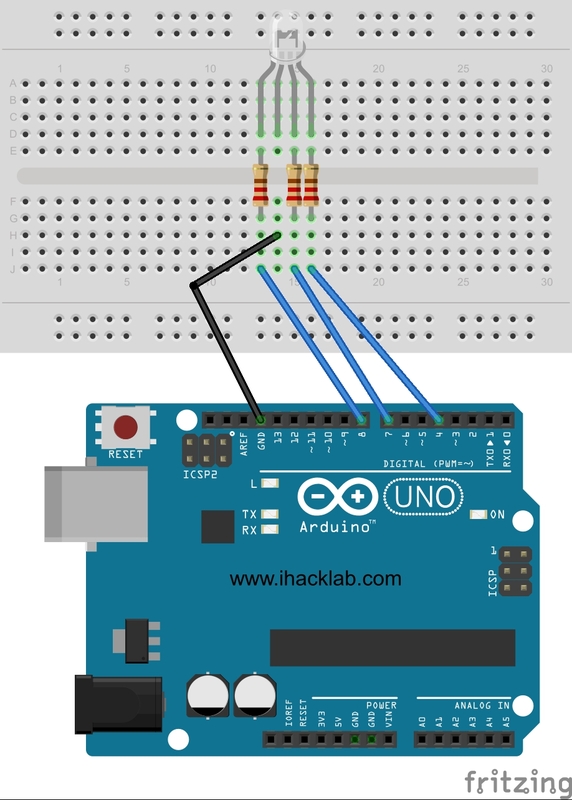 This project will show you how to create a basic circuit which converts the text to morse code and blinks LED lights while playing audio of the translated dots and dashes. This is my first Instructables project so I hope you like it! In this project I will assume you have some very basic knowledge of electronics and uploading code to the Arduino. Check out many other great Instructables for help on this if necessary. This is a really easy project so I’m sure you will not have any issues. For this project use an Arduino Uno micro controller connected to a solderless breadboard. First setup the breadboard to connect the two LEDs and one speaker as seen in the wiring diagram. Connect the small jumper from the ground to one row. On a second row connect a longer jumper cable and a resistor. The LED light or speaker will bridge these two rows. When connecting the LEDs, the positive leg (longer of the two wires coming out of the LED) should be connected to the line with the resistor and the negative leg will be on the grounded row. Now that you have the breadboard wired you will connect this to the Arduino. In the code we will be using output pins six and twelve for the LED lights and pin eight for the audio. Connect the two longer jumper wires with the LEDs inline to pin six and twelve on the Arduino. Connect the longer jumber wire with the speaker to pin eight. 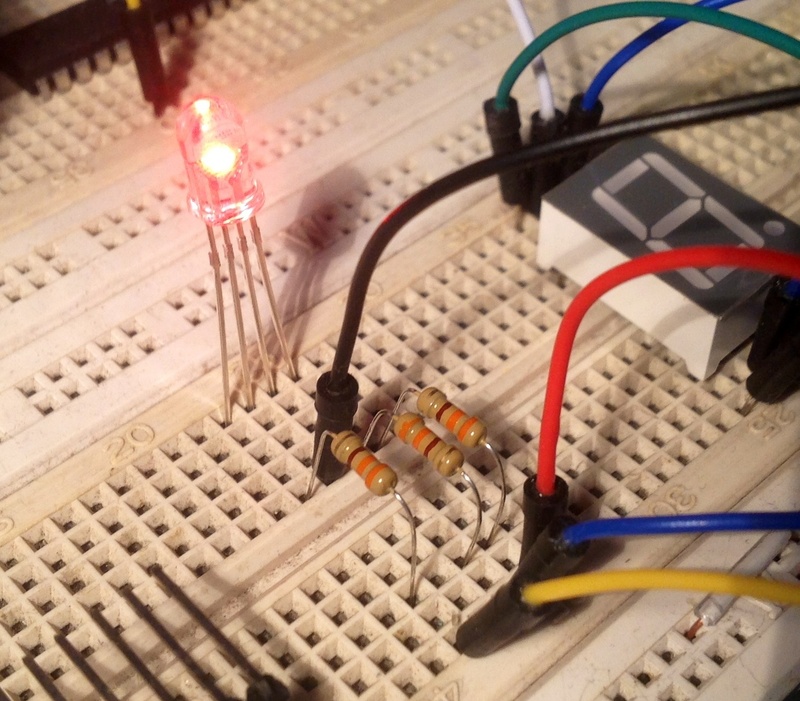 Finally, connect the GND pin to the ground bus at the top of the breadboard. Next connect your computer to the Arduino via the USB cable. Using the Arduino compiler upload the following code. To modify the morse code string just change the ‘stringToMorseCode’. The code will read this string and convert the string to morse code, both visual and audio. The code reads the string to an array and then using the GetChar function this converts each character into dots and dashes. Currently this is just converting alphabetic characters but you can easily add additional characters (numbers, punctuation) in this select statement switch at the bottom of the code. /* Unlicensed Software: This is free and unencumbered software released into the public domain. Now the fun part, test it out! 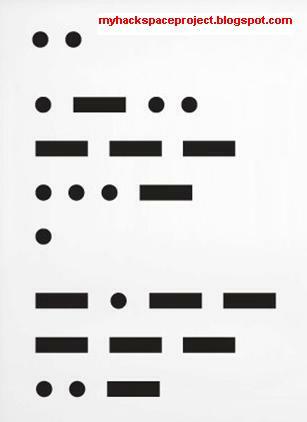 The code will play through the morse code string and then pause for several seconds before looping again. Play around with code and circuit layout. Try adding a few extra lights in parallel with each other. Also play around with the code by changing the “dotLen” variable to adjust the length of the dots and dashes (speeds up/slows down the morse code). Change the “note” variable to adjust the audio pitch. Let me know how this works for you and if you have any improvements! This code will loop through a string of characters and convert these to morse code. It will blink two LED lights and play audio on a speaker. Where are the talented science students? Students on the USA Tiger Teams are working on special projects that will help occupy Mars. We are building our collection of solutions and will present that at the Mars Society Convention in Irvine, California in September, 2017. 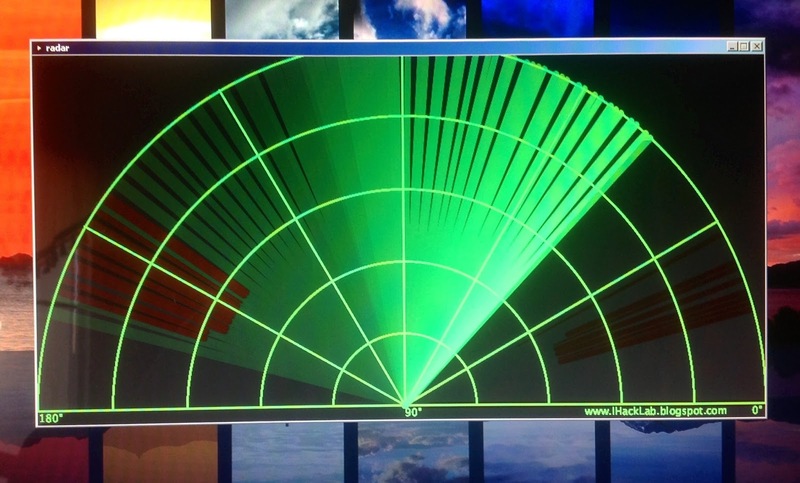 This project shows how objects are detected and displayed on your computer screen imitating a radar monitor. 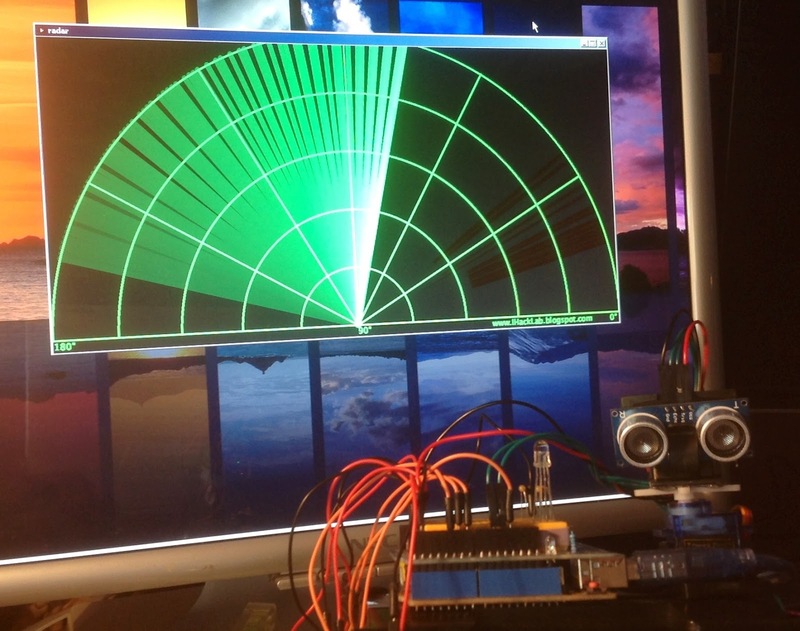 A separate software called Processing 3.0a10 was used to interact with the Arduino R3 IDE. Use the sketch above and your previous projects on Servo and Ultrasonic to detect objects and monitor them on a radar-like screen display. 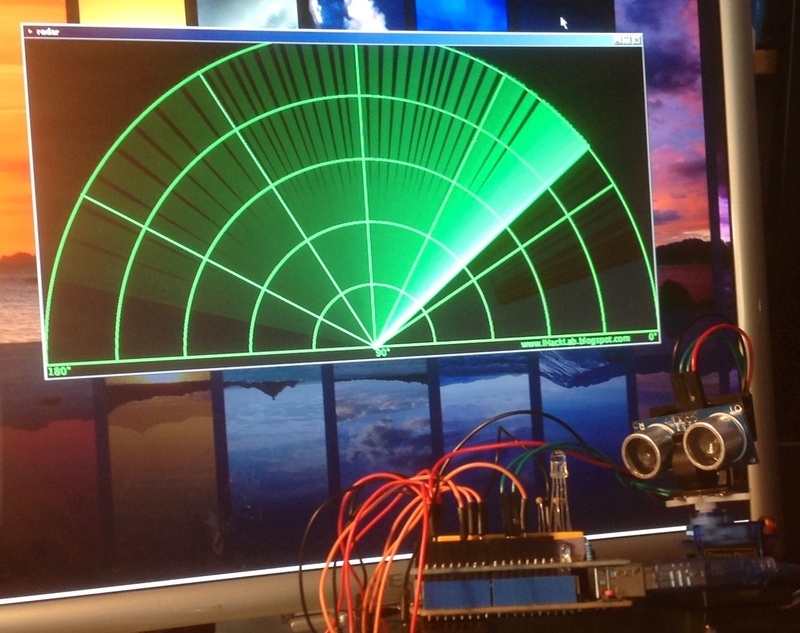 This project shows how to control an RGB Led colors using **modular programming. The RGB LED will display the morse code for I LOVE YOU. This example code is public domain. Modular Programming is one of the techniques programmers use to shorten their programs. Instead of writing very long algorithm, programs are contain into a chunk, a modular procedure. The functions dit(), dat(), and pause() are all procedures put into functional modules. This means that instead of writing all the sketch in every module inside the void loop() section, we simply use the shortcuts: dit(), dat(), and pause(). 1. 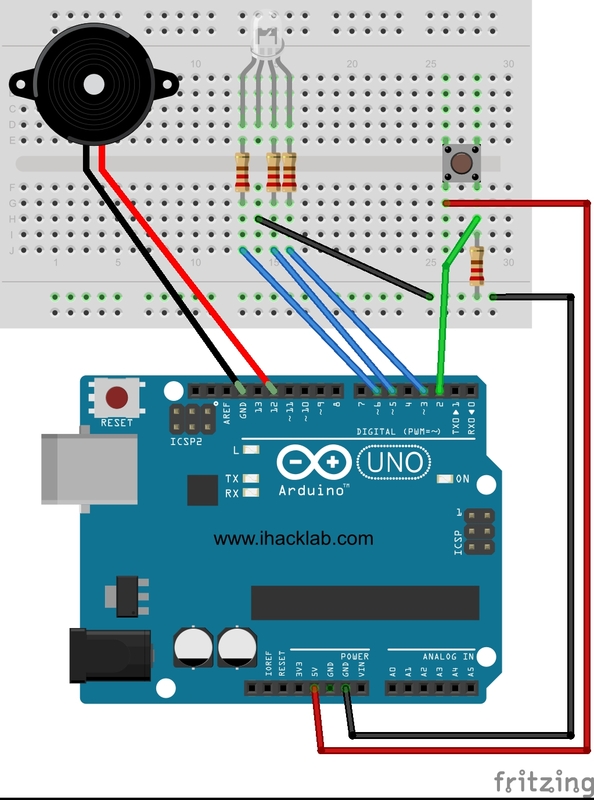 Sketch a program using a speaker that will produce the morse code sound for I LOVE YOU. 2. Sketch a program with a push button that will mimic the morse code for I LOVE YOU. 9. The RGB led will blink on and off like a morse code. 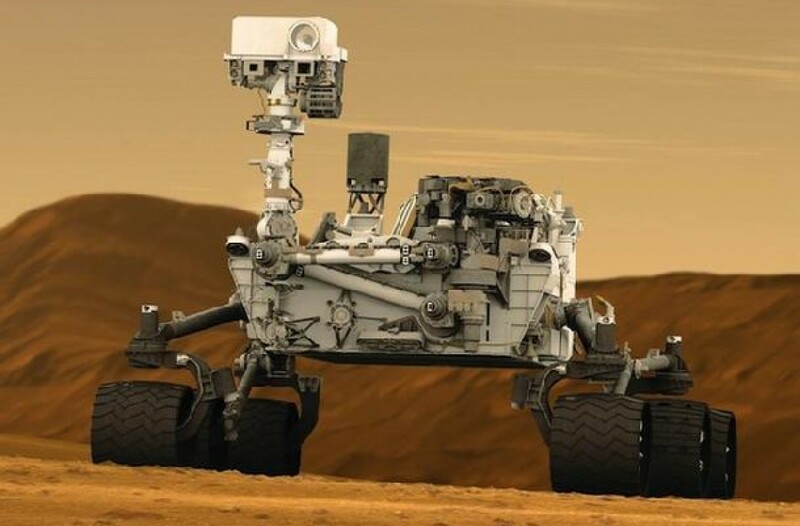 Our USA Tiger Team has been given a new assignment to build a radar system for the planet Mars. We will mount this new radar system on the back of our new Mars Rover M3 designed at the Barboza Space Center. www.BarbozaSpaceCenter.com.